We have the proper equipment to assess your damage and complete the mitigation/remediation process to preloss condition faster. Industrial strength air movers and dehumidifiers are needed to remove the moisture from ceiling, walls, and floors of your home or business. Proper drying helps to prevent swelling of walls and furniture and warping/buckling of hardwood floors. High-speed air movers cause moisture to evaporate at a fast pace and Industrial grade dehumidifiers pull the water vapor from the air. Contact SERVPRO of Greeley/Windsor at 970-353-1388 for your mitigation and remediation services. A few of our cleaning products. As your local mitigation, remediation and restoration company, SERVPRO® of Greeley/Windsor carries a variety of professional cleaning products. We do not use the same cleaners that you can purchase in a store. SERVPRO® Industries have scientists on staff that formulates products that are designed exclusively for our franchise. You can be assured that the most effective products are being used to take care of your loss. Our products are used to decontaminate, deodorize, clean leather & wood, general cleaning and much more. Each of our products are labeled and specify proper cleaning use. As our customers, for your knowledge and comfort our technicians carry the Safety Data Sheets per product. We ensure thorough cleaning is maintained throughout each job because we think of your property as our own. SERVPRO® of Greeley/Windsor is available 24/7/365. 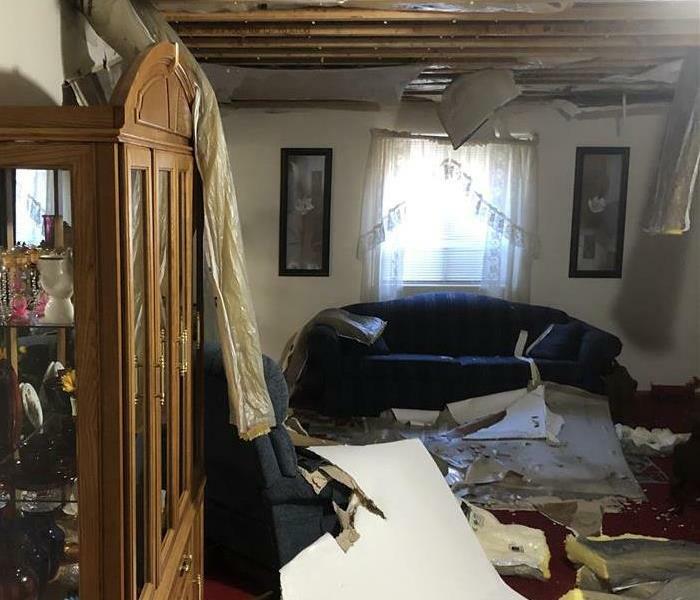 We are a highly trained water, fire, mold and biohazard restoration company with many services not typically covered by other restoration companies. Our SERVPRO Professionals are highly trained in property mitigation, remediation and restoration. 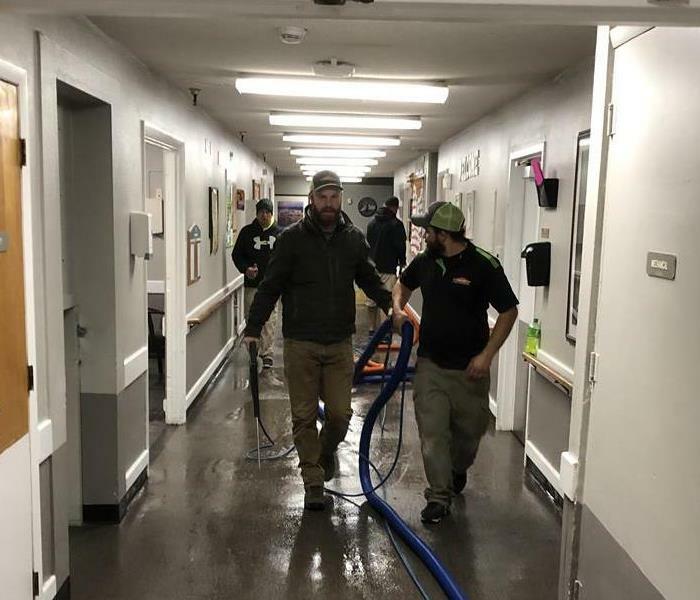 From initial and ongoing training at SERVPRO's Corporate Training Facility to regular IICRC industry certifications, our Professionals are equipped with the knowledge to restore your property. Call SERVPRO of Greeley/Windsor today for your cleaning, mitigation, and remediation needs 970-353-1388. Our trucks are always loaded and ready to roll! SERVPRO of Greeley/Windsor professionals strive to exceed customer expectations and can help lower claim loss expenses with professional and proper restoration. 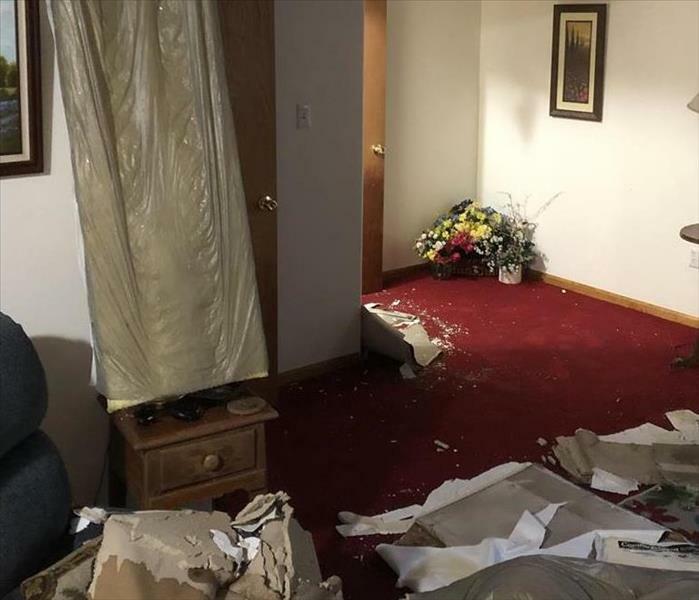 SERVPRO of Greeley/Windsor Professionals uses pre-testing to carefully identify what can be restored to a pre loss condition verses replacement, which can reduce claims loss expenses. Electronic job file documentation offers immediate quality information including detailed estimates and online access to all files and pending jobs. SERVPRO of Greeley/Windsor is committed to continued industry training of our service technicians, maintaining a high level of competency of industry standards. Franchise required insurance qualification compliance and professionalism help insure quality insurance. SERVPRO of Greeley/Windsor professionals understand the importance of communication, serving both the insurance adjuster and the customer. If you experience a residential or commercial property loss in the Greeley/Windsor surrounding area call 970-353-1388, 24 hours a day, 7 days a week, 365 days a year we answer your call to help. 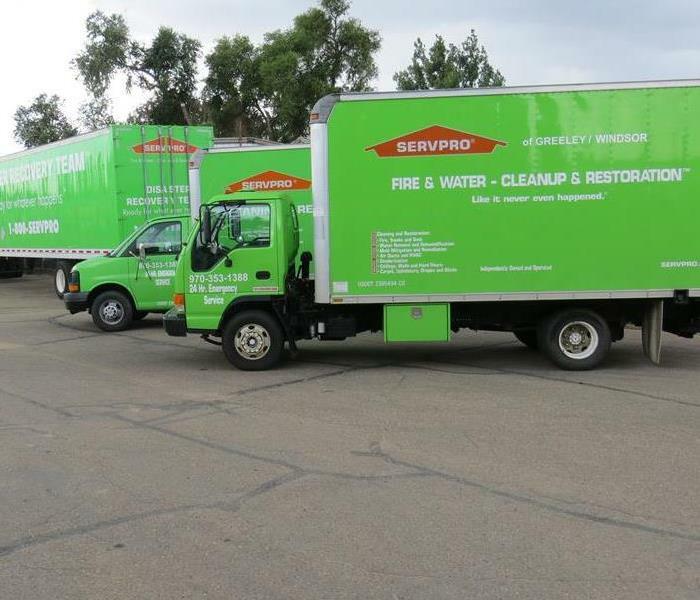 SERVPRO of Greeley/Windsor is always ready to roll to any size disaster and you can trust the SERVPRO brand to get your company back in business after any loss. We can minimize the disruption to your clients while delivering professional and superior service. 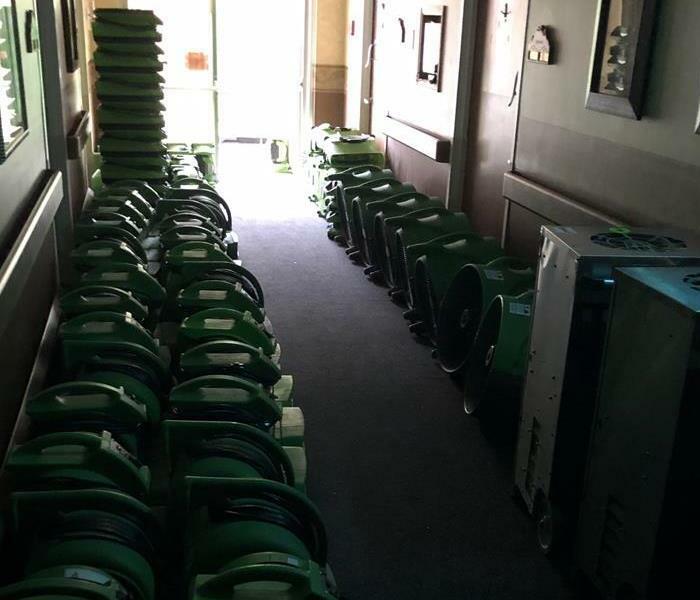 Most people think of SERVPRO when they have a water damage, but we offer many other services. With over 1,800 franchises nationally, the SERVPRO franchise system has a network of strategically positioned storm and extreme teams on standby should a disaster strike your business. So, no loss is too big or too small. Regardless of your property type or size, we respond quickly to your loss and manage your restoration project to its completion. Call SERVPRO of Greeley/Windsor, 970-353-1388 for all your emergency mitigation needs. Clean water (Category 1) is water from a broken pipe, or other water source. NOTE: rainwater is also considered clean. Gray water (Category 2) is used to classify slightly contaminated water. NOTE: Clean water becomes gray water when it is left untreated allowing bacteria and other contaminants to begin growing, making the water hazardous. Black water (Category 3) is highly contaminated and filled with fungi, bacteria, chemicals and more. Black water is typically caused by sewage damage, flooding or any type of natural disaster. Black water should always be handled by trained professionals. Call SERVPRO Greeley/Windsor at 970-353-1388 for your emergency mitigation needs. It’s winter, we are all turning to heaters to stay warm. They are the ultimate winter must have to keep your house/office nice and toasty. If you are using a space heater do not plug it into an extension cord power strip! Why? Doing so can result in a terrible fire hazard! 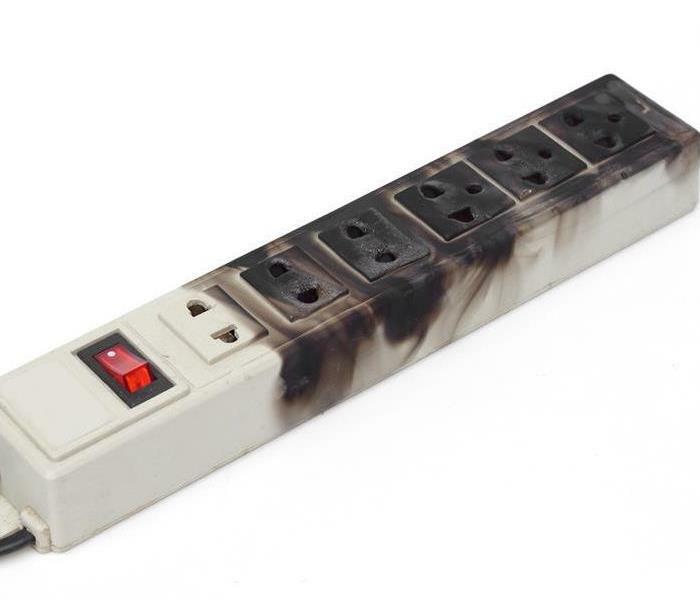 According to fire experts, extension cords and power strips are not equippedto handle the extra current flow needed to power a space heater and can overheat, eventually catching on fire. Firefighters state heating elements in a space heater can get up to more than 500 Fahrenheit to 600 Fahrenheit. If you wish to use a space heater you should only plug it in directly it to the wall and keep an eye on it when it’s in use, meaning, unplug it before you leave the house/office. From 2009 to 2013, heating equipment involved an estimated 56,000 reported U.S. home fires which accounted for 156 percent to the total. According to the National Fire Protection Association, out of those fires, 470 people died, 1,490 were injured and over $1 million in property damage was reported. Place the heater in a dry location, moisture can potentially damage its components. Do not plug other devices into the same outlet as the heater since they tend to draw a lot of power. Never run an electric cord underneath a rug or carpet, they could catch on fire and keep at least three feet away from anything that can burn. Unplug the heater after turning it off. When running your heater, don’t leave the room for a long period of time without turning it off. Plug space heaters directly into a wall outlet and place them on a flat surface. Do not use an extension cord or power strip. As Thanksgiving approaches many of us are getting ready to cook up some of our favorite family recipes. Be sure to take some precautions to make sure that your kitchen doesn't end up in flames! 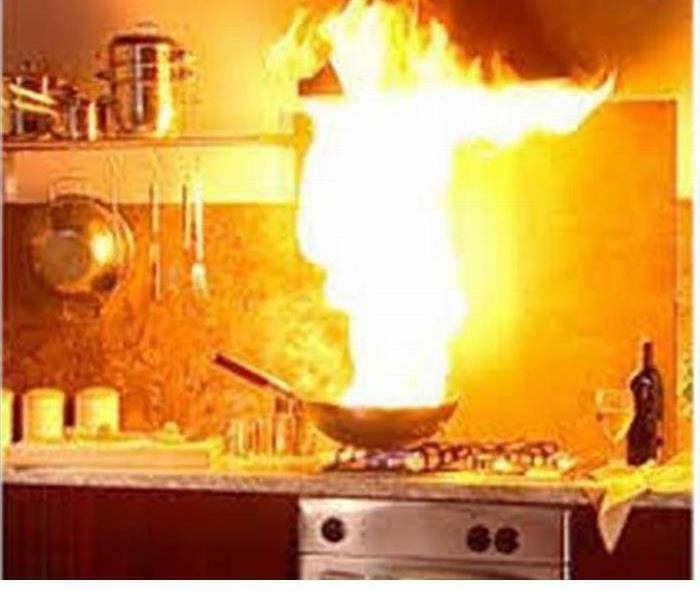 According to the National Fire Protection Agency Thanksgiving is the top day for home cooking fires (almost 3 times the daily average). SERVPRO Greeley/Windsor wants to share some tips to help prevent a fire from ruining your Thanksgiving dinner! Be Present- Fires are often started when items cooking are left unattended. If you need to leave the kitchen for a period of time, turn off the oven or stove! Dress Accordingly- Avoid wearing lose clothing or dangling sleeves while cooking. Lose clothing can easily catch fire if it comes into contact with a gas flame or electric burner. Keep Kids Out- Enforce a "kid free zone" of three feet around the perimeter of the stove. If kids are present in the kitchen, use the stove's back burners whenever possible and turn pot handles inward to reduce the risk that pots with hot contents will be knocked over. Clean, Clean, Clean- Be sure your stove top and oven are free of grease, which can easily catch fire. Additionally, keep all combustible cooking accessories, such as pot holders, oven mitts and wooden utensils, away from the stove top.A fire extinguisher should always be at hand to quickly extinguish any fires that may occur on the top of the stove. Of course, in the event of an emergency, never hesitate to call 911. The best defense against a fire is to prevent them from ever happening! If a fire should ignite in kitchen turn off the oven, unplug the appliance and remove any dish towels that may be hanging on the front of the oven door. Do You Know How Sprinklers Function During A Fire?? Fire sprinklers can assist with limiting the amount of damage your home or business sustains from a fire. Fire sprinklers significantly reduce the extent of property loss and the risks to occupants of a commercial building. Read on to find out how a fire sprinkler can suppress or extinguish flames in a commercial property. 1. A sprinkler head turns on when it detects high temperatures. Fire sprinklers turn on when high heat triggers the system rather than being activated by smoke. Hot air rises during a fire and spreads across the ceiling until it reaches a sprinkler head and activates the fire suppression system. 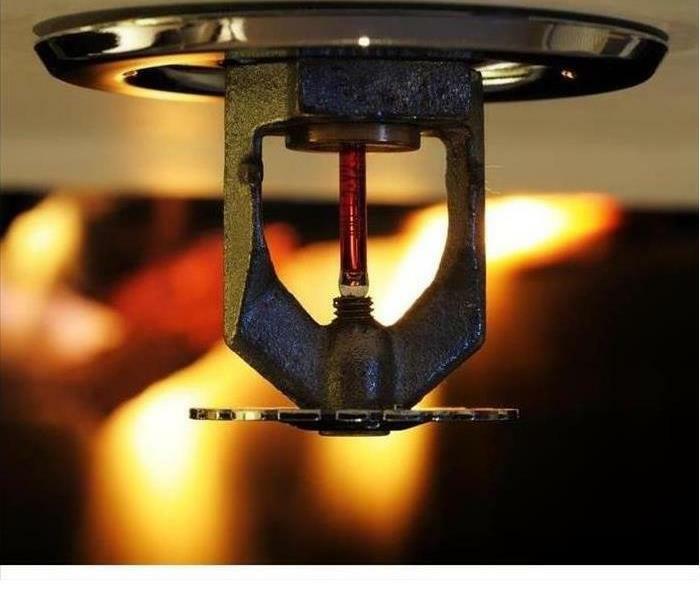 Many sprinkler head designs feature a glass bulb filled with a glycerin-based liquid that expands when it comes into contact with air between 135 and 165 degrees Fahrenheit. The liquid shatters the glass container when the surrounding air reaches temperatures in this range, activating the sprinkler head. 2. Sprinkler heads dispense pressurized water from the pipe system. Each fire sprinkler head is attached to a pipe that brings in water. When a sprinkler head becomes activated, a valve connected to the head opens and sends water out through the sprinkler head to douse the fire. Water pressure is important, as it causes water to spray out over a larger area. 3. Sprinkler heads function individually to limit water damage. Each sprinkler head in a sprinkler system functions separately. Many small fires can be extinguished with only one or two activated sprinkler heads. Sprinklers pose less of a water damage risk to a property than a fire hose. Some restoration specialists estimate that the average sprinkler system dispenses six times less water than a hose. A fire sprinkler can help to limit the amount of damage a commercial property sustains from either a fire or a fire suppression system. If you need to clean and restore damage caused by a fire or schedule fire sprinkler cleanup, contact a certified commercial restoration company. SERVPRO of Greeley/Windsor can offer you helpful assistance after a fire. CALL SERVPRO of GREELEY/WINDSOR, 970-353-1388. Hot Water Heater damaged? Call SERVPRO of Greeley/Windsor for your emergency water mitigation! Water heaters are essential elements of our home. We use them in daily activities such as taking a bath, using the dishwasher, using the washing machine among many other things. Because we use them frequently, it’s sometimes easy to take them for granted and forget that they need to be maintained. Failing to do so will result in malfunctions, problems and eventually, replacing your water heater. Taking notice of the first signs of a problem can help you repair it before it gets worse or extend the life of your water heater. You don’t have to be an expert to spot the first signs of trouble. All you need to have is a keen sense of observation so that your water heater can be repaired. Hot water has an off smell or color. The first instance that you notice your hot water has an off smell or has a rusty color, have your hot water checked. The smell could be the result of a rusty anode rod in the water heater. There is no need to worry since the anode rod can be replaced, and that should eliminate the bad odor. Bacteria growth also causes bad smells. This happens when the hot water has not been used or has been turned off for quite some time or when the thermostat is set at a very low level. Corroded pipes can also cause an off color in your water. This can be solved by installing a water softener or by replacing the plumbing. 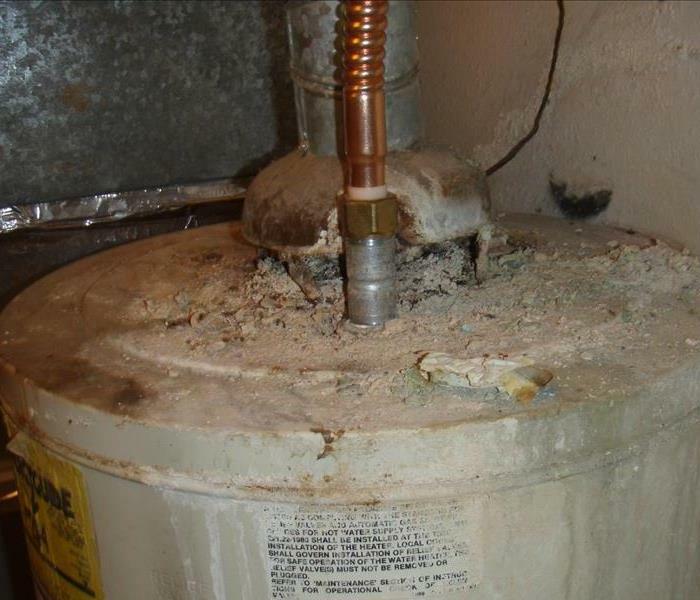 If you also see a lot of sediments in the water, it’s time to have the water heater repaired. Water is not hot enough, too hot, not strong enough or there is no water coming out of the faucet when you turn on the hot water at a faucet. When there is no water, check first that your water heater has power and is working fine. If it is, have it inspected by a plumber. If there is not enough water showers, etc. it could be due to an undersized water heater and is a common situation when a lot more people are using the water heater. This could also be caused by the presence of mineral deposits inside the water heater tank. When water is too hot or not hot enough, you may have to adjust the temperature dial of the water heater. If there is no change in temperature, have the water heater checked and repaired. Strange noises and leaks. Leaks coming from your water heater could lead to flooding. In the same way, strange noises like pops, bangs, gurgles, and the like are clear indicators that something is wrong with your water heater. This is usually caused by a buildup of sediments inside the tank. A boiling sound, however, could mean the water heater is overheating or that pressure is building up inside the tank. All of the above mentioned items should be addressed immediately to prevent further problems. It’s important to have your water heater repaired as soon as you see any of these signs. This will help you save on costs, prevent further damage, and avoid an untimely replacement of your unit. 9/27/2018 - Do You Know How Sprinklers Function During A Fire? ?